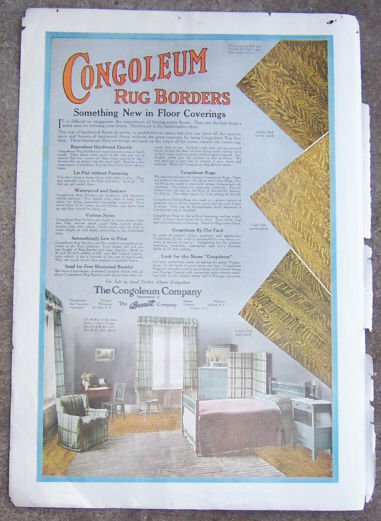 1916 Ladies Home Journal Congoleum Rug Borders Magazine Color Advertisement. Something New in Floor Coverings. Congoleum, Department of The Barret Company. Ad is 16" high and 10 1/2" wide. Advertisement is in very good condition, suitable for framing. Items Similar To "Congoleum Rug Borders 1916 Color Magazine Advertisement"